Pick up a good personal finance book and start studying! Hey, Duke of Limbs! What did I tell ya? Don’t buy silly contraptions, invest in assets you milksop. I was a skinny youngster…and Uncle Eddy didn’t pull punches. Many people work with professional financial planners. They have them take charge of their money and savings by handling their investments for them. But if you’re interested in having a more active hand in what happens with your money, it takes some extra education to be able to do so responsibly and improve your chances of success. Unfortunately, many of the principles of successful personal finance are not taught in schools. It’s a shame really. It’s why so many of us are in terrible consumer debt and know little about the basics of personal finance. This means it is up to us to seek out education in the field of personal finance and basic economics. You shouldn’t do this for fun, but for you and your family’s survival. Lucky for us, over the years some amazing financial experts have published numerous must read personal finance books containing advice and practical strategies for people just like us. That is, those interested in taking charge of their personal finances. Below you’ll find some examples of my favorite personal finance books that have literally changed my life. Afterall, knowledge is power. And the first book is no exception, I entered the Rich Dad Poor Dad world a milksop and Duke of Limbs, and emerged a glorious personal finance ninja. Rich Dad, Poor Dad is a true story based on Robert’s childhood and life with two dads: his biological father and the father of his best friend, his so-called “rich dad.” Kiyosaki goes into detail about the various ways in which each father shaped the way he thinks about finance and investing. He uses stories from his youth to paint a meaningful and fascinating picture. Perhaps the most valuable lesson Kiyosaki explores in the book is that it does not take a high income to become wealthy. Your focus shouldn’t solely be on working for money, but also on making your money work for you. The truth is, the rich don’t work for money. The book originally came out in 1997, but in 2017 was updated with a 20th Anniversary Edition. Here, Kiyosaki contextualizes the financial developments of the last couple of decades in the world of investing and the global economy as a whole. He adds in various sidebars to the original text of the novel to “fast forward” to today in assessing how what he learned from his “rich dad” has managed to hold up over the years. 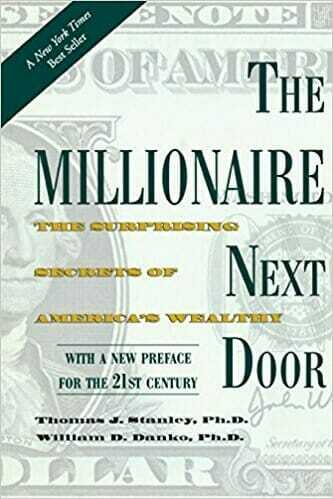 Many of the messages Kiyosaki put forth in this book more than two decades ago were criticized at the time. But, the economic developments we have seen since then actually make those messages more important and relevant than ever. My key takeaway from Rich Dad Poor Dad is to not put money on a pedestal. Money is created relatively easy. You simply have to start a business and make money work for you. Money is a means to an end, it can be lost and created. 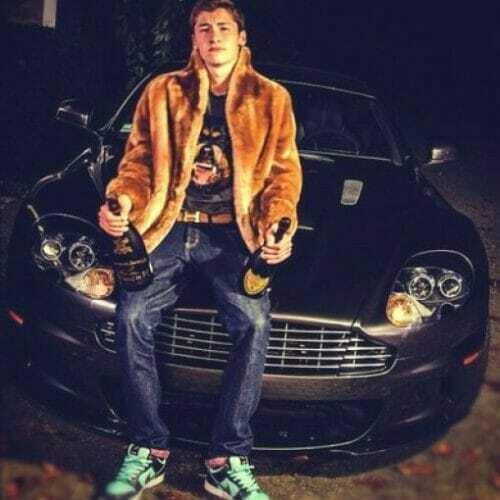 Instead of continually saying you can’t afford things, start asking, how can you afford them. This is a must-read classic personal finance book. Consider that this book was originally published in 1926. Back when I assume Uncle Eddy bought his first railroad stock. 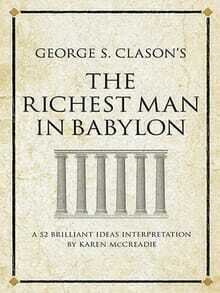 This amazing book explores lessons in financial wisdom in the form of a series of parables set in ancient Babylon. The stories were initially published separately as a series of informational pamphlets that were handed out by banks and insurance companies to prospects and clients. They were successful enough that they were put together in a single edition and published as a book that to this day remains influential in the topic of personal finance. In the book, Bansir, a chariot builder, and his friend Kobbi, a musician, were both extremely poor, despite being the best in Babylon at their respective crafts. They seek the financial advice of Arkad, a childhood friend who had become quite rich over the years. These are all now kind of like the top commandments of personal finance. The key takeaways are just a few that are frequently touted by financial experts as being crucial financial habits. 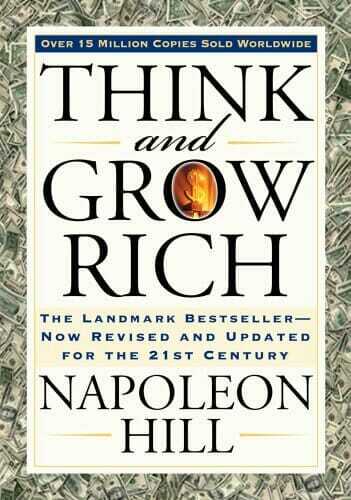 Think and Grow Rich is another a personal finance must-read, this book was published in 1937, after Hill spent two decades engrossed in researching the world of finance. Aside from being quite sexist, Think and Grow Rich was revolutionary at the time. Hill’s work was inspired by Andrew Carnegie, the richest man on the planet at the time due to his booming steel industry. Carnegie assigned Hill the task of organizing a “philosophy of personal achievement.” So, Hill aimed to interview hundreds of successful people to help him in this task. Among those interviewed included such famous inventors, economists and tycoons as Henry Ford, Alexander Graham Bell, Thomas Edison, John D. Rockefeller, Charles M. Schwab, George Eastman and William Wrigley, Jr. When will you ever get a chance to read insight from such titans of industry? Never. The answer to that rhetorical question is never. In the book, Hill provides many concepts that have transformed the way people think about personal finance, as well as the processes they use to better themselves in their careers. He asserts that desire, faith, and persistence are capable of pushing one to success. That is, so long as you are able to maintain a positive attitude and a focus on long-term goals. While the focus of the book is specifically on increasing income, Hill repeatedly insists that much of what a person learns from reading the book can be applied to other areas of life, or help in just about any type of work. As of 2015, the book has sold more than 100 million copies worldwide, making it one of the most successful personal finance books of all time. One of the real traits tends to be surprising to people who are not wealthy themselves. While most Americans envision wealthy people living in large mansions on sprawling estates, the truth is that most millionaires live relatively normal existences in primarily middle-class neighborhoods. The book came out in 1996, during a time of relative economic prosperity in the United States. The authors look at two different classifications of people: Under Accumulators of Wealth (UAWs) and Prodigious Accumulators of Wealth (PAWs). Here, they examine the differences between the two. UAWs were defined as people with a low net worth compared to their income, such as a doctor making $250,000 a year with a net worth is less than their age multiplied by one-tenth of their pretax income. A PAW, meanwhile, is the opposite, a person who has accumulated well beyond the product of their age and a tenth of their net worth. What they found was that millionaires are actually disproportionally found in middle-class, blue-collar neighborhoods, and not in the more white-collar, affluent communities, as one would expect. Even the authors had expected the contrary to be true. The book analyzes this phenomenon and explains how high-income white-collar professions are more likely to devote income to status items or luxury goods, which means they neglect other types of investments and savings. Spend less than you earn: Doing so will result in increased net worth and savings/investment opportunities. Avoid a status lifestyle: Too many high-income individuals damage their net worth and savings potential by wanting to purchase status items that they simply do not need. Take measured risks: The authors found that PAWs are typically willing to take financial risks, so long as they have carefully analyzed those risks and determined that they are worth the reward. They do not gamble on long-odds stocks, but instead focus on finding “sure-thing” investments. Generational wealth: Many UAWs have children who will need a lot of their parents’ money to afford the lifestyle they’ve become accustomed to. They are also less likely to have a grounding in financial education. Keeping along the theme of the above book and the fact that you don’t need to be a white-collar financier to be rich, is the amazing book the Wealthy Baber, by David Chilton. Who is, Canadian I might add (booya!). This series of must-read personal finance books may or may not be considered novels, as their purpose is primarily to convey financial advice, though they do make use of fictional characters and plot points to get this advice across. 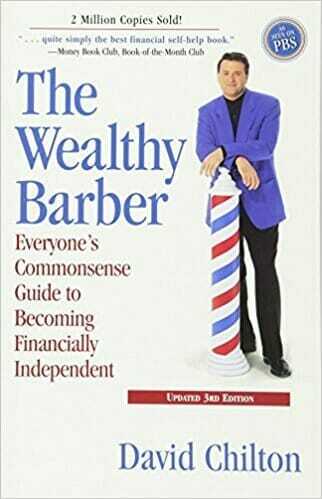 First published in 1989, the Wealthy Barber remains an influential piece of literature in the personal finance sphere. The book focuses on several people in their late 20s who visit Roy, the so-called “wealthy barber,” in hopes of receiving financial planning advice. Each chapter focuses on a different element of financial planning. The students in the book then carry out certain actions as assigned by Roy. The stories take place in Sarnia, Ontario, the site of Roy’s barber shop. Roy had, as a child and young adult, planned to become an attorney, but ends up taking over his father’s barber shop, instead. He receives some practical financial advice from one of the wealthiest men in town, and ultimately accumulates a significant amount of wealth of his own. This advice stems from another book mentioned on this list, The Wealthiest Man in Babylon, but is updated in this book to include information about life insurance, mortgages, income tax, wills, and other vehicles for saving and spending. Of which, I’m assuming they didn’t have in Babylon. Unlike other financial planning books, The Wealthy Barber is not entirely anti-debt. However, Roy mentions that extra money should be put toward paying off debts as much as possible. And, he warns of the dangers of credit cards as a personal finance tool. 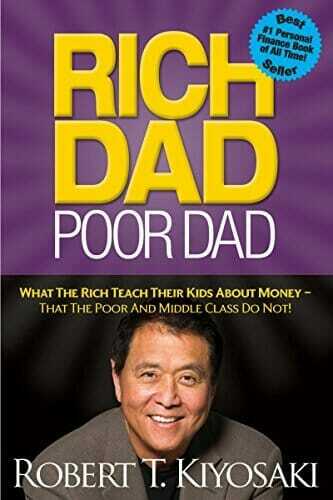 This is also a theme from Rich Dad Poor Dad, where debt is said to be a good thing for the right reasons. When starting a business or buying real estate, debt can be a great thing. Whereas, for consumer purchases and other frivolities (and contraptions! ), debt is damaging. 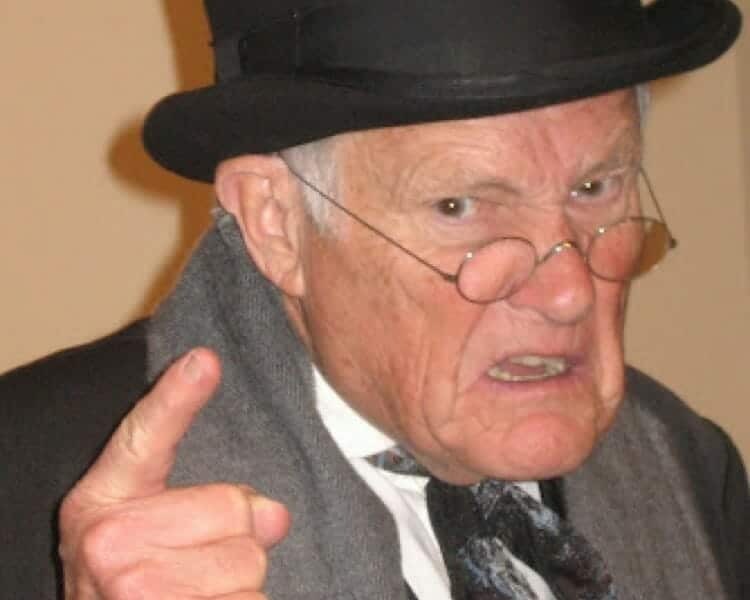 As a general rule, however, Roy says that you should invest 10 percent and max out your contributions to your retirement plans. Your day-to-day spending habits won’t end up mattering much. This savings advice has been followed successfully by many people. While it can be difficult in a time of stagnating income and rising debt, particularly in the younger generations. The principles of this book are sound. Burton Gordon Malkiel is an economist who worked for Princeton University who wrote several books about personal finance, with his most famous and influential being A Random Walk Down Wall Street. As of 2015, the book has had 11 editions that have sold more than 1.5 million total copies. In the book, Malkiel examines some of the most popular investing techniques, such as fundamental and technical analysis, pointing out some of the flaws associated with these techniques, and determining that passive strategies are actually superior to these flawed methods. Whereas many of the above must-read books are more strategic and mindset-oriented, this one is much more tactical. The book also offers critiques of the process of selecting actively managed mutual funds based on how they have performed in the past. Malkiel analyzes studies that show these types of mutual funds can widely vary in their long-term success rates, and tend to underperform after they achieve some initial success. His conclusion is that it becomes quite unlikely that an average investor would select the few mutual funds that will outperform expectations. 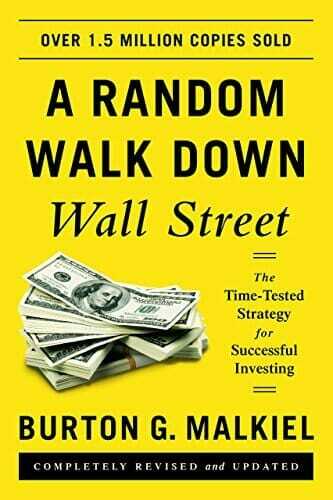 The book popularizes the “random walk hypothesis,” a financial theory that states stock market prices change at random and cannot be predicted. This hypothesis became a crucial component of the efficient-market hypothesis. Malkiel drew inspiration for this hypothesis from theories already explored a century beforehand by Jules Regnault in 1860s France. The merits of this theory are up for debate. But, it has had a significant impact on financial strategy and the way people think about the stock market. 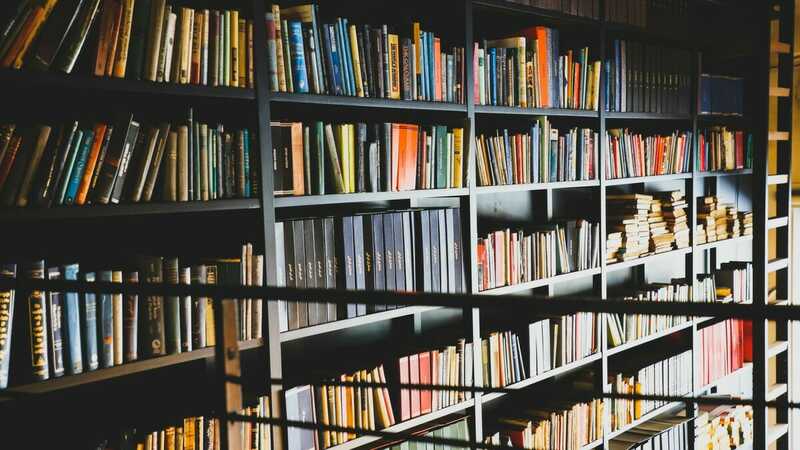 While in my opinion, these are six of the best, most popular, must-read personal finance books you’ll ever come across, there are certainly plenty more options that are worth your time. So get your personal finances in order. These tried and tested rules for achieving financial mastery are no secret. The above books eloquently lay out the truthisms of personal finance in clever and digestible ways. So, there’s no more excuse. Start getting your book learning on, and stop being a milksop!